Our company is a leader in Epigenetic Nutrition. Epigenetics is a New Branch of Science. . .
. . . that needs a little background. 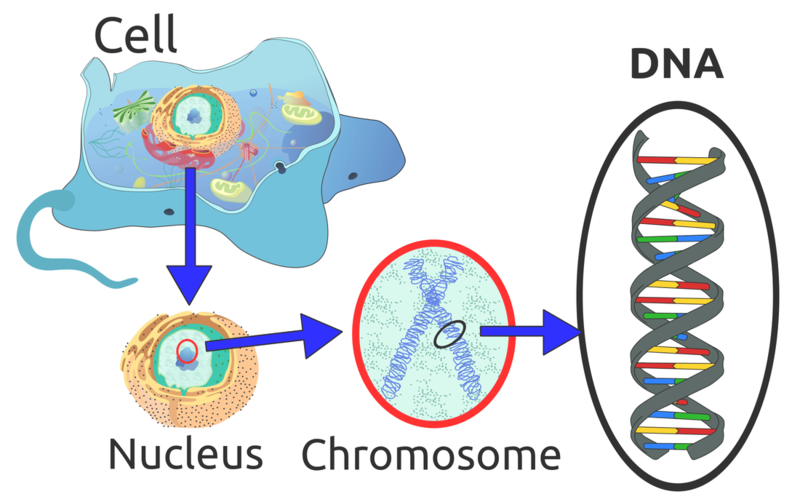 In order to understand the modern term epigenetics, you need to know a little about the human genome project. You may have heard of it. The human genome project began in 1990, when scientists set out to map the human genome. The thinking at that time was that if we can map the genes that occur in our DNA, we will know the causes of human diseases, because the diseases would appear as some type of gene mutation. Scientists were expecting to find over a half a million genes in the human genome or DNA. They finished the project in 2001 and the results were surprising. Scientists expected to find that our DNA was made up of 90% genes, and 10% of it was a type of “packaging material” or “Junk DNA.” This “Junk DNA,” it was believed, served no purpose. Instead, what they found was the “Junk DNA” comprised 98% of the genome. The genes made up only 2% of our DNA. In fact, there are only 20,887 protein coding genes in the human genome (the same number as in a fruit fly!) not a half a million as expected. Moreover, that “Junk DNA” that was thought to have no purpose has been shown to perform an amazing function: it exerts control over the expression of those genes. It can turn on good genes and turn off bad genes. The “Junk DNA” or “Packaging Material” is now referred to as the epigenome. The prefix “epi” means “above” or “over” because it functions to exert control over the genome; that is, the genes in our DNA. So now there is a new branch of science called epigenetics, and a new way to understand how we can influence our genetics. And our company is on the forefront of epigenetic nutrition. For people of all backgrounds who want to lead healthy, self-directed and meaningful lives, Hope In A Can offers exceptionally effective nutritional products, a simple and profitable business opportunity, and the chance to change lives and provide hope to people around the world. . . Note: This article recently appeared on the blog, "World of Psychology," http://psychcentral.com. More recent discoveries show that the epigenome can and does change during your entire lifetime. Alterations are made in response to your environment, which includes your surroundings, life experiences, diet, personal behavior, and even beliefs and perceptions (the placebo effect). Epigenetics encourages the belief that problems caused by our behavioral genes can be fixed by our mind. The NIH division of Health and Human Services includes a National Center for Complementary and Alternative Medicine. The NCCAM division reports on a wide variety of health products and practices. About 40 percent of our disposable income goes to those alternative and complementary therapies. They include acupuncture, massage therapy, spinal manipulation, Tai chi, qi gong, and so on. These mind-body therapies are not accepted as mainstream Western medical remedies since scientific evidence of their effectiveness is lacking. Any positive results from these therapies are generally thought to be due to the placebo effect. When a fake treatment — a sugar pill or a saline solution — improves a patient’s condition just because the patient expects it to work, we call that the “placebo effect.” It demonstrates the power of the mind. These studies clearly illustrate that our thoughts and feelings are much more powerful than we often realize. In order for cells to respond positively, however, they must be given the right mental intervention and perceptual thought signals. The NCCAM lists mindfulness and hypnosis among alternative therapies, and there is a growing awareness and evidence of their effectiveness.